May your New Year’s Eve be filled with good food, friends, & music! 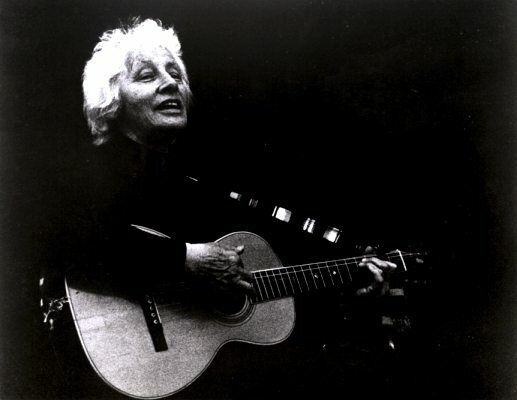 Leave a Comment on Ring in 2009 with some classic Malvina Reynolds! 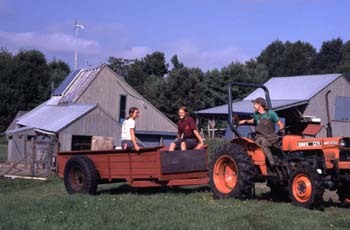 Leave a Comment on Poughkeepsie Farm Project needs interns! Panel, workshop, presentation, and roundtable proposals are solicited for The Second Annual Rural Heritage Institute at Sterling College, a three-day series of experiential academic workshops scheduled for June 16-18th 2009. This year’s theme, Food, Farms, and Community focuses on the changing connections between rural communities and their food sources. The local food theme will be highlighted by discussions, field trips, and hands-on workshops featuring food historians, agricultural scientists, farmers, policy makers, journalists, artists, chefs, and food activists. Three members of the Hudson Valley Biodynamic Group, Steffen Schneider, Mac Mead and Malcolm Gardner, will be leading a four-day seminar on Rudolf Steiner’s Agriculture Course at the Pfeiffer Center in Chestnut Ridge, NY. My name is Jacob Slosberg, and I am a student at the University of British Columbia in the Faculty of Land and Food Systems. I am current an undergrad in the B.Sc. Global Resource Systems program focusing on Agricultural and Environmental Studies. I am 21 years old and have been involved in sustainable, organic food systems for nearly six years. Check out this great post on Civil Eats… it documents the journey (so far) of Naomi Starkman, as she seeks to be an organic farmer. From WWOOF to Stone Barns Center for Food & Agriculture, several sustainable agriculture organizations and the Slow Food Nation Victory Garden, and on to whatever comes next. Sandor Katz is the leading advocate for real fermented foods & beverages, from sauerkraut and kimchi to sourdough bread and homemade wine. He’s also a really cool guy. Here’s a great post on the Green Fork Blog (the blog of the Eatwell Guide) about the recent Young Farmers Conference at Stone Barns. The Greenhorns attended, along with dozens of inspiring, and inspired, young farmers. 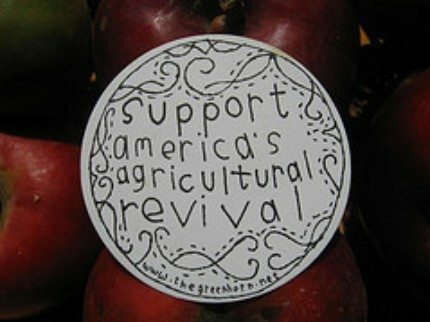 There’s a budding social movement underway and it’s cropping up in fields and markets across the country-America’s newest generation of farmers are stepping up to the pitchfork. Young, excited and energized they’re beginning their own farming operations, facing many challenges, but also reaping many wonderful rewards.